It’s that wonderful, weekend-wasting, well-worth-watching time of the year again: March Madness! This is confusing, no doubt. usually evokes , and . The phrase refers to the and connotes the single-elimination excitement and purity of competition of one of sports’ most highly-regarded (and , ) tournaments. But this spring, a high-profile cricket competition in India, the , is attracting sports fans around the world. Established in 2008, the IPL is the world’s most recent and most raucous cricket competition in which eight teams of Indian and international cricketers contest matches in a double round robin competition. The league, which operates in to accommodate the rigorous international cricket schedule, is already one of the richest and most popular events in world cricket. put that in perspective for Canadians: Forbes values the Stanley Cup champion Pittsburgh Penguins at $222 million. In January, the IPL to stream all of this season’s matches live on for free. Through the first 10 matches of the 2010 season, the YouTube channel has attracted . 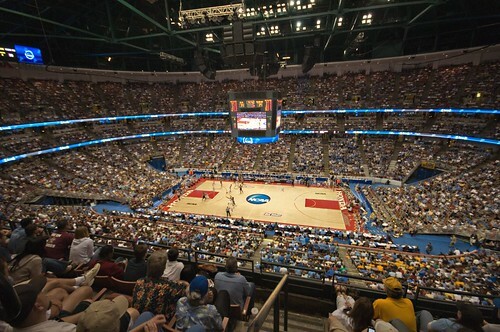 The IPL’s strategy mirrors ‘ decision to take even more coverage of the NCAA basketball tournament . Unsurprisingly, it’s been a . For fans of Indian cricket in Vancouver, the decision to allow online streaming has made the games accessible. And that’s the point. “[The IPL] won’t replace but it’s good for cricket,” said Cheenu Sharma, a first year Master’s student in mechanical engineering at . The IPL plays a form of cricket called Twenty-20 designed to make the game more accessible. Cricket is often criticized for the duration of a game. Twenty-20 can be played in less than three hours, just like a North American professional sport. And just like North American sports, the IPL has been dogged by criticisms of being , considering its use of cheerleaders and sponsored names for various scoring strokes. It would be akin to having a GE three-point shot announced after every made shot from behind the arc. However, the IPL’s popularity points continued success in this grand experiment of bringing cricket to the rest of the world. Previous story So you want to learn French?